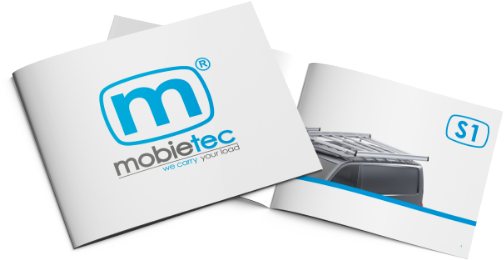 We understand that your trust in us is the most important capital of mobietec (hereinafter referred to as "mobietec," we "or" us ") and your privacy is therefore essential to us. This privacy statement (hereinafter referred to as "Privacy Statement") applies to (i) our website https://www.mobietec.be (hereinafter referred to as the "Website"), (ii) all commercial relationships between mobietec and its customers, and (iii) all commercial relationships between mobietec and end customers of the products. mobietec wishes to emphasize that it always tries to act in accordance with the Belgian Privacy Act of 8 December 1992 for the protection of privacy with regard to the processing of personal data. This Privacy Statement contains, among other things, information about the personal data collected by mobietec and about how mobietec uses and processes this personal data. Visiting the Website, placing an order with mobietec or using one or more services offered by mobietec implies your explicit approval (by means of communication of your personal details or opt-in) of the Privacy Statement and thus of the way we collect, use and process your personal data. Creating an account on the Website to gain access to the mobietec client portal, where you can download product certificates and assembly instructions (hereinafter referred to as the "client protal"). The personal data collected by mobietec are thus expressly and voluntarily provided by you. For the operation of our customer service. mobietec will not disclose your personal information to third parties unless it is necessary to provide a service to you (such as but not limited to the delivery of products, the performance of services, as well as the execution of credit and certain security checks). If it is necessary for mobietec to disclose your personal data to third parties in this context, the third party concerned is obliged to use your personal data in accordance with the provisions of this Privacy Statement. Notwithstanding the foregoing, it is possible that mobietec may disclose your personal data to the competent authorities (i) if mobietec is required to do so by law in the context of legal proceedings or future court proceedings and (ii) for indemnity and defense of our rights. Under no circumstances will mobietec sell, rent or pass on your personal data to third parties. Unless a longer retention period is required or justified (i) by law or (ii) by compliance with another legal obligation, mobietec stores your personal data for a period of 2 years. When mobietec determines that a user has not used his account during this period, his personal data will be deleted. This period is necessary for achieving and fulfilling the goals, as described in the Privacy Statement. If you wish to consult, revise, correct, update or delete your personal data, please contact privacy@mobietec.be. You can exercise these rights free of charge. If you no longer wish to receive newsletters or information about our products or services, you can unsubscribe at any time by clicking on the "unsubscribe" button, as provided for in each mobietec e-mail. mobietec undertakes to take reasonable, physical, technological and organizational precautions with a view to preventing (i) unauthorized access to your personal data, as well as (ii) loss, misuse or alteration of your personal data. mobietec will store all personal data it has collected on its secure server. Notwithstanding the security policy of mobietec, the controls it carries out and the actions it imposes in this context, an infallible level of security cannot be guaranteed. No method of transmission or retransmission via the internet nor any method of electronic storage is 100% secure, so that mobietec cannot guarantee absolute security in this context. All personal data, which mobietec has collected, will only be stored and processed in Belgium. There is therefore no question of cross-border transmission or processing of your personal data. mobietec is entitled to update this Privacy Statement by posting a new version on the Website. It is strongly recommended that you consult the Website and the page on which the Privacy Statement is displayed on a regular basis to ensure that you are aware of any changes. Via the post: BVBA mobietec, Hille Zuid 3, 8750 Zwevezele (Belgium).